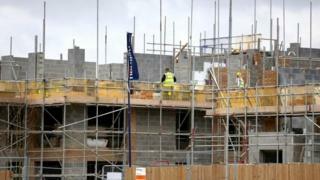 Gwynedd Council may start building houses itself for the 2,000 people on its waiting list for accommodation. Homes for single people under 35 were the main shortage, a report said. Despite handing its council houses to a not-for-profit body in 2010, Gwynedd now plans to build or buy 200 homes over the next five years. It will also offer grants to first-time buyers and landlords bring some of the county's 1,300 empty properties back into use. It added that the council itself would step into the market to tackle the shortage, according to the Local Democracy Reporting Service. "This scheme will enable the council to build or buy property on the open market in order to let or offer to first-time buyers by taking advantage of various financial sources that are available," it said. "This will not be a quick solution, but will present an opportunity to provide bespoke accommodation to address specific needs, which has been difficult in the past." Craig ab Iago, the cabinet member for housing, told members: "We know there's a problem, admit there's a problem, but how we fix it is why I'm here. "I don't want 2,000 people waiting for homes forever." Senior housing manager Arwel Owen pointed out there was a degree of "churn" on the waiting list as people were registered and later found a home, with only a third waiting for a year or more. However, Mr ap Iago added: "The only target we have is that no-one is left waiting." In 1977, UK local authorities were responsible for more than 40% of house builds, but the figure declined to less than 2% by 2017, according to government statistics.